Local food, paddock to plate, farm to table… we’ve heard the buzzwords – and now we know we should all shop local. Spending your cash with nearby producers helps drive our economy and benefits our farms and small businesses. In return, you’ll get the freshest seasonal produce around, with minimal impact on the environment. The question for many… “Where do I start?” Check out our guide of eight great ways to shop local on the Coal Coast. Every Wednesday afternoon, a mob of loyal punters are champing at the bit for the bell to ring at Kiama’s Coronation Park. The best place on the coast to get your weekly grocery shop done, the market is host to dozens of local growers and makers selling everything from meat and gelato to cheese, eggs, honey and organic fruit and veg. Growers harvest in the morning for the afternoon’s market, ensuring goods are sold with maximum freshness and flavour. Get to know the farmers and grab their tips on how to get the most out of your produce. 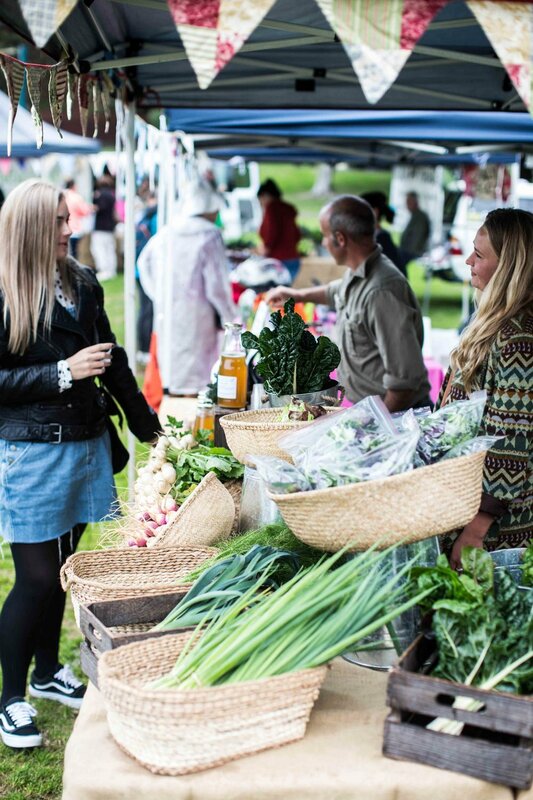 Don’t forget to bring your green bags as Kiama Farmer’s Market is plastic bag-free. Coronation Park, Kiama. Wednesdays, 3-6pm in summer, 2-5pm in winter. Unique to the Illawarra, Green Connect is a social enterprise and fair food farm. Tucked away in a previously unused piece of land behind Warrawong High School, Green Connect uses permaculture principles to provide Illawarra families fresh, chemical-free produce via a weekly vegie box system. With an ever-changing selection, the offering varies with the seasons and comes with stories and guides on how to best use what’s in the box. A not-for-profit organisation, Green Connect’s farm staff is made up of refugees and disadvantaged youths, giving employment opportunities to those in need. An institution in the Thirroul community – the Co-op is a volunteer run, not-for-profit local food store with a huge selection of organic produce and bulk foods as well as a range of local breads, drinks, preserves and treats. With one of the largest local food selections on the coast, a visit to the Co-op is a great way to get your shopping done and to learn about the many Illawarra farmers who bring their produce to the store daily. Every Monday morning, Dapto Community Farm flings open its doors for a farmgate market where members sell their produce direct to the public. Dozens of individuals, groups and small businesses make up the Dapto collective, and all grow a unique range of chemical-free and organic goods, making the produce on offer as varied as you’ll find on the coast. Happy customers can be sure they’re buying local with a view from the market out onto the farm’s abundant growing beds. 29 Darkes Road, Dapto. Mondays 9:30 – 1:30. This Coledale general store puts local at the centre of everything it does. With a fantastic cafe that showcases the best of Coal Coast produce on its menu, Earthwalker prides itself on the relationships it’s built with local suppliers. After lunch, browse the store for fresh produce, and an endless selection of local dry goods, dairy, preserves, drinks and snacks. 749 Lawrence Hargrave Dr, Coledale. 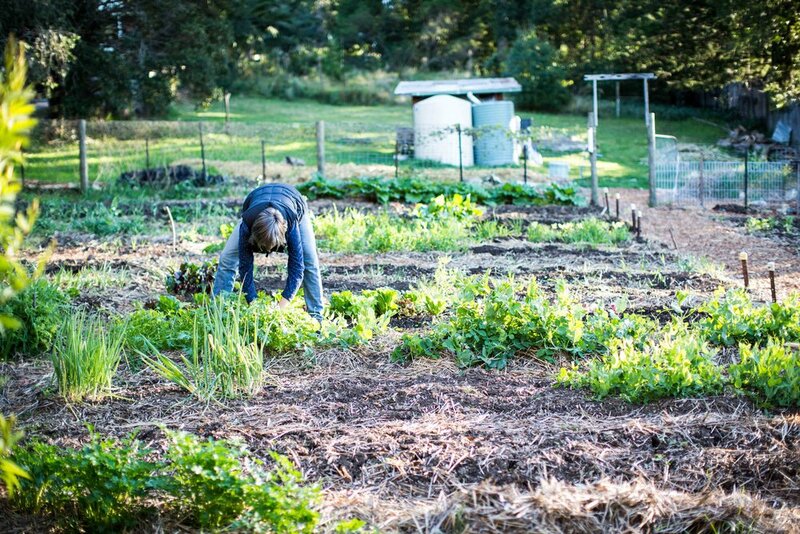 A true backyard market garden, Sarah Anderson has turned her Woonona patch into a produce paradise. All chemical-free, Popes’ “weekly greens” is a box of whatever is abundant and in season. For just $20, boxes are picked up direct from the “farm” where you can have a chat with Sarah about what’s on offer while taking a stroll through the green-filled grounds. Learn more as Sarah also does garden consulting, workshops and events for anyone looking to enhance their growing skills. A key trick to buying local is just to have a chat. Many independent supermarkets and grocers choose to stock local and the best way to find it is to simply ask. They’ll give you all the info you need on what’s in season and keep you updated on what’s on the way. Some great spots supporting local on the Coal Coast are Thirroul IGA, Meadow St Grocer in Tarrawanna, Leisure Coast Fruit and Deli in Fairy Meadow and Mitchell’s Fruit in Wollongong and Warilla. The Illawarra is home to not only some great farms, but also a multitude of locals producing everything from bread to beer, coffee and cider to pasta, pastries and preserves. Our food community is strong, so use social media to follow your favourite local producers and keep in touch with what they’re up to. Learning about where your food comes from is what shopping local is all about! Check out the fantastic handmade cheeses from The Schoolhouse in Gerringong, perfectly roasted beans from Delano Specialty Coffee in North Wollongong, or Jo’s delicious Darkes Cider, pressed fresh from her Glenbernie Orchard apples.